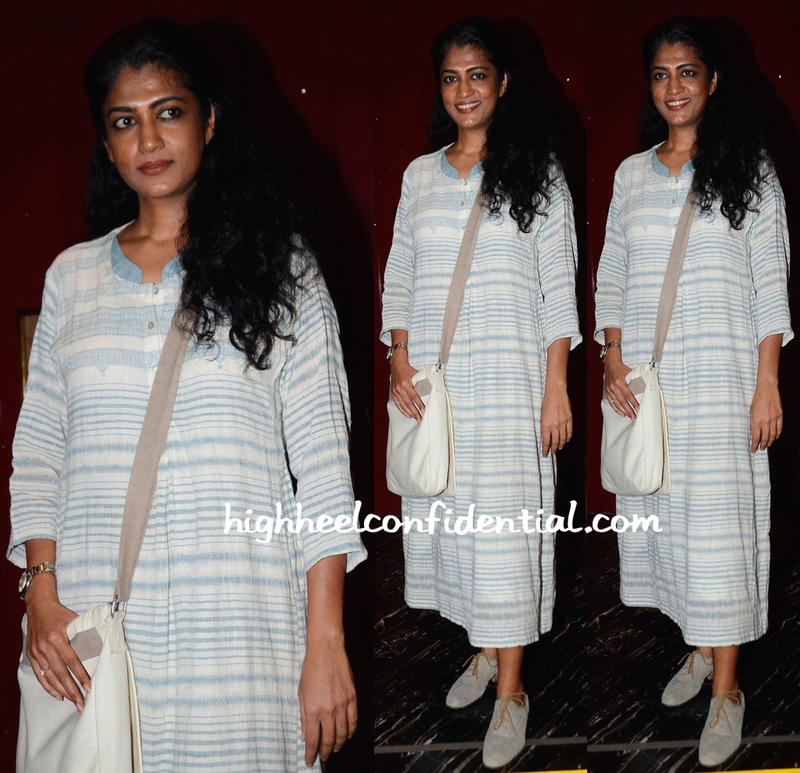 Wearing an Anavila dress with matching oxfords and cross-body bag, Swati attended a recent screening. The easy breezy dress is perfect for taking in a movie; Ms. Shetty looked nice. 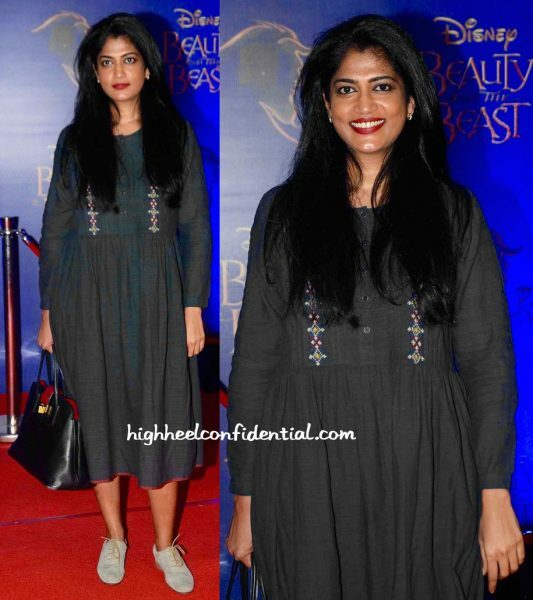 Swati took in a musical recently wearing an Eka dress. A red lip, Prada tote, and grey Unützer oxfords finished out her look. She looked good! Sure the bag looked incongruous with the dress and shoes she had on, but it was a detail we were happy to overlook. 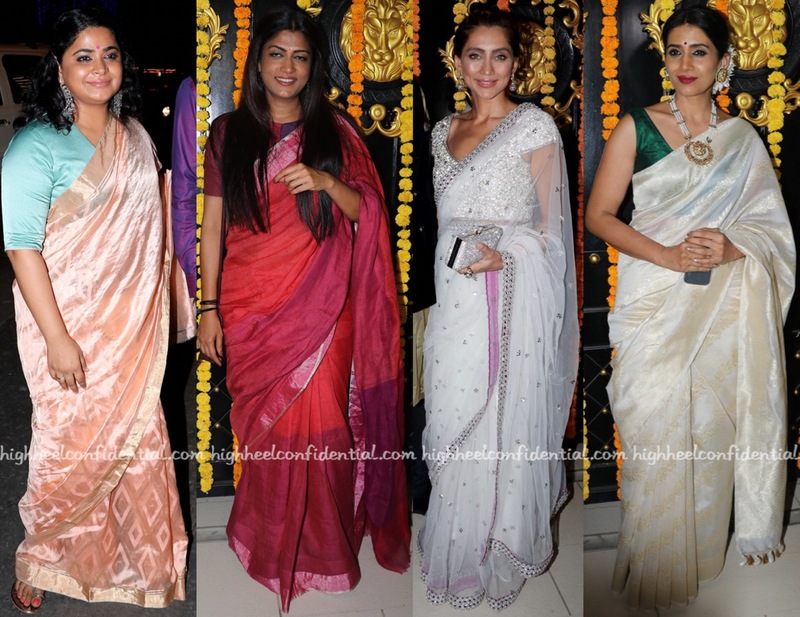 At the screening of Umrika at the Karlovy Vary Film Festival, producer Swati Shetty was seen in an Eka sari. Props not only for going the desi route but also for keeping it earthy and bling-free. Catch her inside in another Eka sari from the opening night. At the Grey Goose event, it was a Payal Khandwala maxi for Ms. Shetty, one that she wore with a very long necklace. Love the outfit. The tight curled hair, not so much.